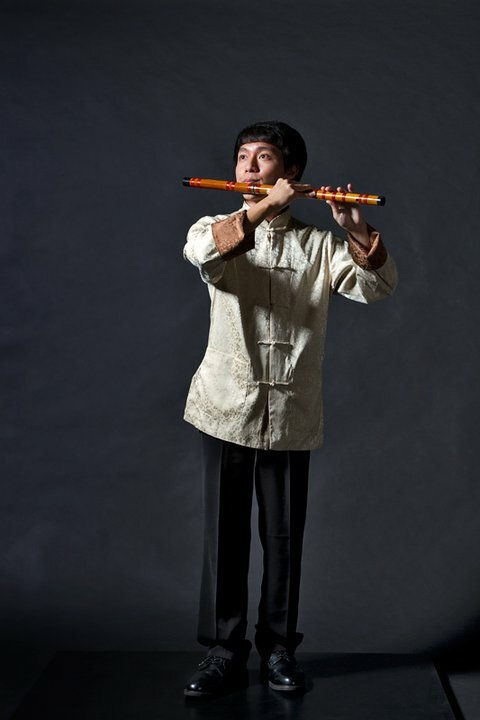 Jonathan began learning Dizi at the age of 13 under the tutelage of SCO musician Mr Boo Chin Kiah. In 2005, Jonathan attained Dizi Grade 8 with Distinction in the grading examination jointly organized by China Central Conservatory of Music and Nanyang Academy of Fine Arts, and was subsequently invited to perform at the High Scorers' Concert. Jonathan continued improving upon his performance techniques under SCO musician Mr Lim Sin Yeo in 2009 and successfully attained dizi Diploma with Distinction in the grading examination organized by the National University of Singapore, Centre For the Arts. He was also honoured to have the chance to be guided by eminent Dizi maestros: Qu Xiang, Li Zhen, Zhang Wei Liang and Zhan Yong Ming on various occasions. In 2012 and 2016, Jonathan participated in the NAC organized National Chinese Music Competition, and clinched the 1st runner up in the Dizi Open Category for both years. He is also an alumni of the Singapore National Youth Chinese Orchestra (SNYCO), and have been invited as guest player for Singapore Chinese Orchestra, Ding Yi Music Company and Siong Leng Music Association for their past concerts. Jonathan is currently the Deputy Ensemble Manager of Dicapella Dizi Ensemble, Southeast Asia's largest dizi ensemble. Watch Jonathan Tan in action playing the Dizi! Feeling inspired? Take a one time trial lesson us!